Q: Could you tell us something more about the company? A: The PacketFabric platform facilitates coast-to-coast connectivity between more than 130 premier colocation facilities across 13 U.S. markets, and enables simple, cost-effective, and scalable network deployment via our advanced Application Program Interface (API) and web-based portal. Q: You’ve recently announced collaboration with Infomart Data Centers to Bring Next-Gen Cloud Networking to Infomart Dallas and Portland; could you tell us something more? A: As customers continue to demand more capacity, they will also want easier, flexible, and more efficient ways to procure network services. PacketFabric collaborates with industry-leading data center partners to bring its next-generation cloud networking platform to their facilities. We’ve partnered with Infomart to provide customers in its Dallas and Portland facilities with access to hundreds of terabits per second of on-demand connectivity, as well as the ability to consume network connectivity with the same ease and agility as they consume cloud services. We’ve also helped Infomart extend the reach of its data centers by providing customers the ability to connect to any other network or facility on our fabric. A: Our network and software have been purposefully built to cost-effectively scale across tens of thousands of on-net nodes over our layer-2 platform to dynamically support tens of millions of interconnections. PacketFabric brings automation and ease to network provisioning, delivery and billing, through our terabit-scale SDN-based Network-as-a-Service (NaaS) platform. We deliver connectivity from 1GbE to multi-100GbE via a combination of diverse fiber paths and packet switched network infrastructure, for which we chose Juniper Networks’ QFX10000 line of switches. We also use Coriant’s Groove G30 datacenter interconnect (DCI) platform, which delivers 3.2Tbps of throughput capacity. Our software is architected in a modular fashion, which allows us to be hardware agnostic, allowing us to choose the best of breed hardware available at any given moment. PacketFabric utilizes a combination of dark fiber, spectrum/dim fiber channel, and leased wavelengths in and between metro markets to optimally support our packet-based network needs. Our intuitive web portal and advanced API enable customers to dynamically design and quickly deploy any network configuration with full visibility and control over their network traffic and services. Q: What makes PacketFabric a good choice? A: PacketFabric delivers terabit-scale capacity in seconds, instead of days or weeks. With us, anyone can forego traditional telecommunication services, which can take weeks or months to provision for every new circuit, and typically come with long-term and inflexible contracts. Because we own and operate our own infrastructure, we’re able to provide high capacity, cost effective networking services to our end users. PacketFabric customers are able to pay for networking services on a flexible month-to-month or usage basis. Our web portal and API have both been built to make consuming and managing networking services as painless as possible. Outside of our innovative technology and state-of-the-art network, we’re also led by a team of networking professionals with over 100 years of combined executive leadership experience building and operating some of the largest network and cloud infrastructure platforms in the world. A: PacketFabric is launching several new products over the next few months to solve various challenges across multiple verticals. We’ll continue to add network extensions for many network service providers, and internet exchange service providers into our ecosystem. 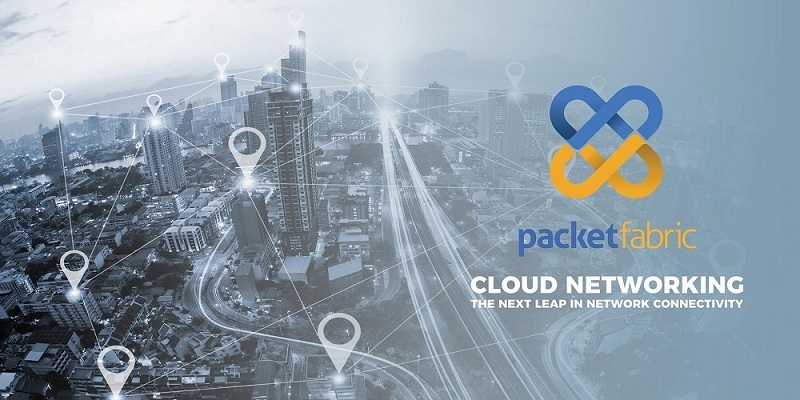 Based on the market demand for more scale in connectivity to the cloud, PacketFabric is creating a solution to fulfill this need. We are launching a channel partner program in support of an eager enterprise market for easy and flexible to consume network services. Our channel program will also answer the demand we’ve seen from potential resellers, who want to provide innovative networking solutions in support of their own customers. We’ll continue expanding our network footprint in key areas of the U.S. and Canada, with expansive Europe and selective APAC regions following shortly thereafter.